Ethan had a bad afternoon. He threw-up so many times, I lost track. He is presently sleeping, exhausted from his ordeal. He is not sick. He just had a very bad case of motion sickness. Let me start from the beginning. Manila has three rail transits. LRT 1, Baclaran to Caloocan; LRT 2, Taft Ave. to Santolan; MRT 3, Baclaran to North Avenue. My first and last ride at LRT 1 was in the 80's, back when it was first built. I just have no business riding an LRT or MRT for I always bring my car. Anyway, Ethan has been pestering me, for the longest time, to ride the MRT. He kept saying "Please mom? Can we ride the train?". Finally, after more than a year of planning we've finally decided to ride the MRT. Daughters #3 and 4 decided to tag along. Actually I insisted that they come with us because I am not familiar with the ins and outs of the MRT. We decided to take and park the car in Makati, take the MRT at Ayala Station up to Shaw Station then back again. That we did. It was a Sunday so the MRT's women's car was not really jam packed; but the seats were all taken anyway. The stations' layout was confusing - not enough signs and instructions to go by. Daughter #4 bought the tickets- 11 pesos, one way. We went through the stile and went down several stairwells to arrive at the loading depot. The loading/unloading dock was stiffing hot! The train came and we boarded. W e arrived at the Shaw station. I can feel the heat and grime around us. We hovered for a few minutes then jumped back on the train going south. I developed a throbbing headache. Ethan developed a pulsating headache. Back at Ayala station I fed Ethan hoping that it would make him feel better. It did not. Fifteen minutes after his meal, he started to throw up. It was good that we were already in the car when it happened. The drive home was a cacophony of retching and wails of "Mom!, I'm dying!" while daughters #3 and 4 were busy rummaging for a container to catch the ejected "food". Upon arrival at home, I carried Ethan and felt his cold sweat. I dried his sweat, gave him a bath, have him sip cold sweet milk and let him have a nap. I can hear him calling now. "Mom? Where are you? I'm hungry!" I guess he's fine now. Aww...mem'ries like the corners of my mind...misty watered memories of the way I was...LOL. LRT 1 was my main mode of transpo when I was working sa BF...Baclaran all the way to Momumento. Do you remember that LRT bombing in Dec 2001? I was in that LRT. I came from Molino, Cavite going back to Pamp. I think I walked from the station where it happened to Monumento kasi I was shaking like a leaf...and I couldn't stop walking. huling: omg! andun ka nung bombing!? wala ka pang asawa nun? but your daughter was born march 2002. now i'm confused. dual purpose yong pag punta ko sa ayala and shaw stations. I was tasked to look at the metropass booth and the station's signages - the job i was talking about is related to the renovation of all mrt stations. renz: poor peaches. mabuti na yong nag-suka. she was able to eject phlegm and mucus. My memory is failing me. Sign of old age, maybe? LOL... That was Dec 2000 pala...not 2001. 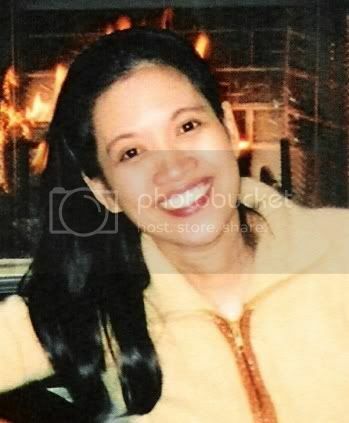 Single pa ako nun...I "met" the husband the husband April 2001...a year later...may anak kami....hahaha...yep, we took our time. Charing! ganyan ako nun bata. i can't ride any vehicle without throwing up. kaya laging may candy, supot, ammonia etc and nanay ko. buti nalang nawala na nun tumanda nako. huling: grabe kung nagkataon pala hindi mo na meet si hubby mo.